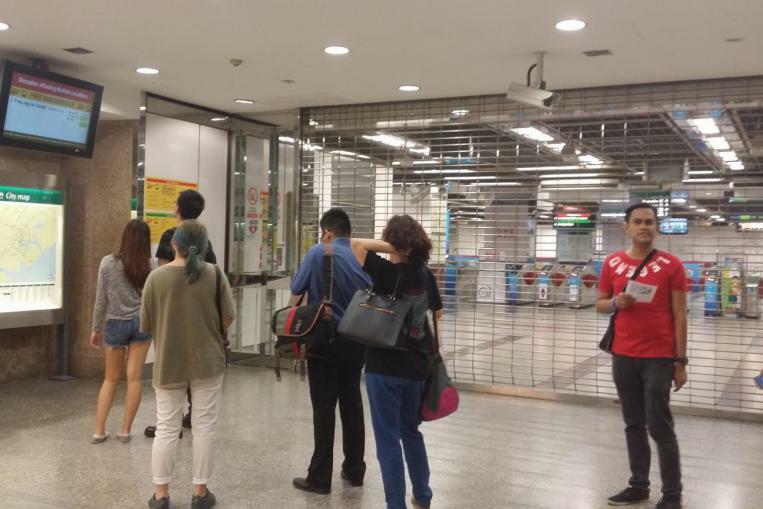 By now, most Singaporeans would have heard of — if not experienced — the fiasco that was the SMRT train breakdown, which happened yesterday during the evening rush hour. 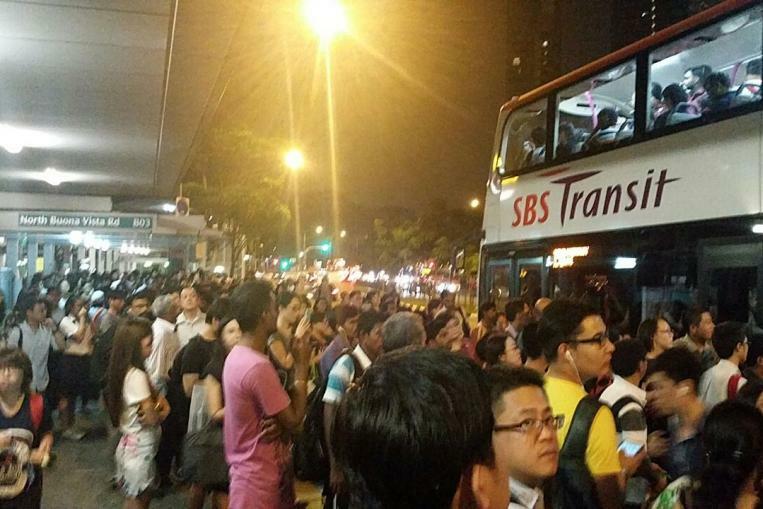 The power trip affected both the North South and East West Lines, and according to The Straits Times, might be the worst train breakdown to have taken place in Singapore. But if you thought that, like previous breakdowns, things would have gotten back to normal by this morning, you’d be very wrong indeed. Early this morning, train operator SMRT updated their Facebook page, giving commuters a heads up that there will be further delays expected today on both the North South and East West Lines. 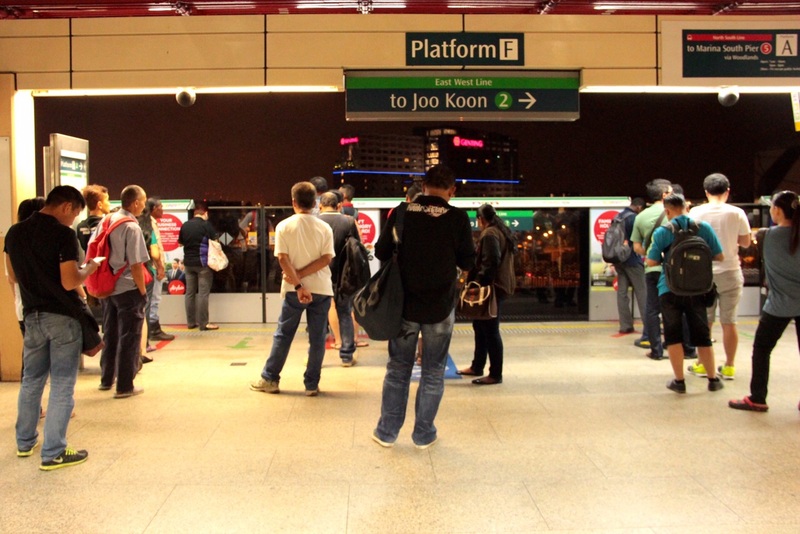 In addition, services along the North South Line will also be suspended from 11AM to 4PM. This is to facilitate investigations by engineers from the Land Transport Authority (LTA) and SMRT. That’s not all: while trains may be in service at other times, they will be doing so at slower speeds, with wait times going up to 5 – 7 minutes on the two affected lines. Usual wait times for trains are about 3 minutes. SMRT said, in their Facebook post, that they will be offering commuters free rides during this period, until normal service resumes. 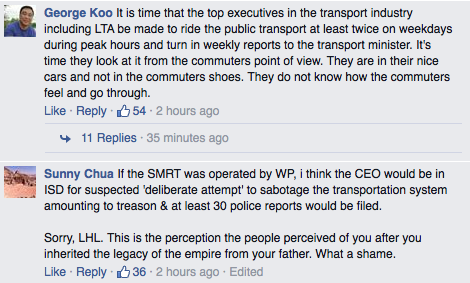 As expected, commuters are taking to social media to vent their frustrations. 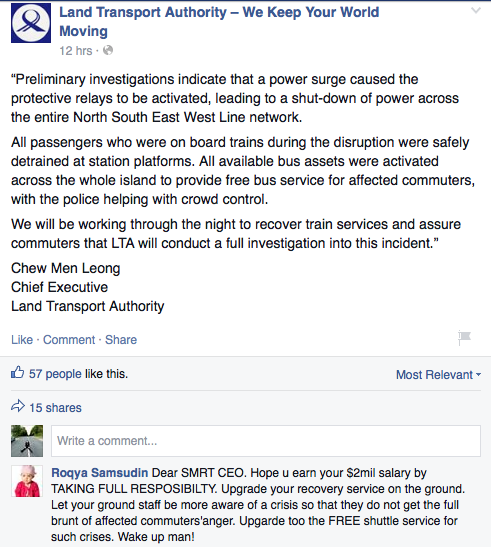 Comments on SMRT’s Facebook page, in particular, range from suggestions as to how the situation should be improved, to snarky responses to SMRT’s posts. Commuters on board the MRTs were not the only ones affected; as passengers rushed to secure alternative transport options, the congestion began spilling onto the roads, with those on buses also experiencing massive holdups along the streets. 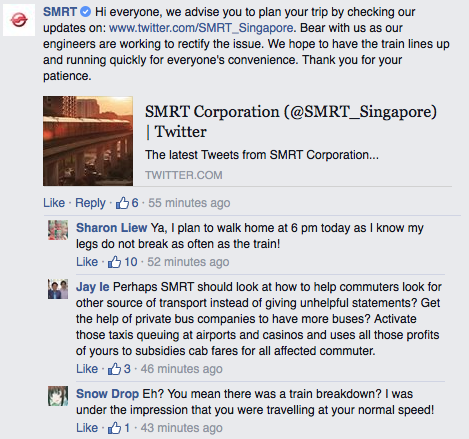 Guess Hell hath no fury like a Singaporean experiencing a train breakdown. Vulcan Post is one of the most engaging digital lifestyle publication in Singapore. For more stories like this, do subscribe by clicking here.